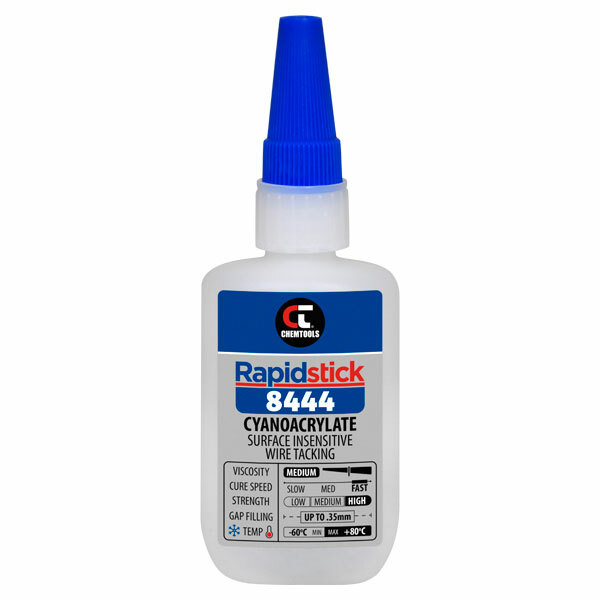 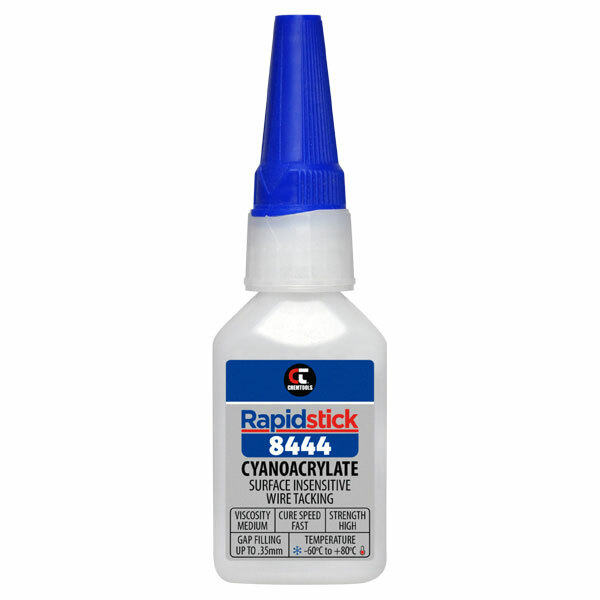 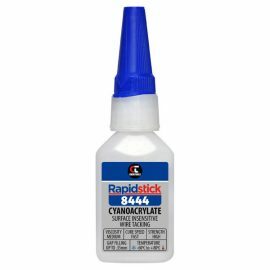 Rapidstick 8444 Cyanoacrylate Adhesive is specifically formulated for adhering difficult-to-bond and insensitive surfaces with high industrial strength. It is ideal for plastics, wood, metals, aluminium, leather, and ceramics, and can be used for a wide variety of industrial manufacturing, repair, and wire tacking applications. 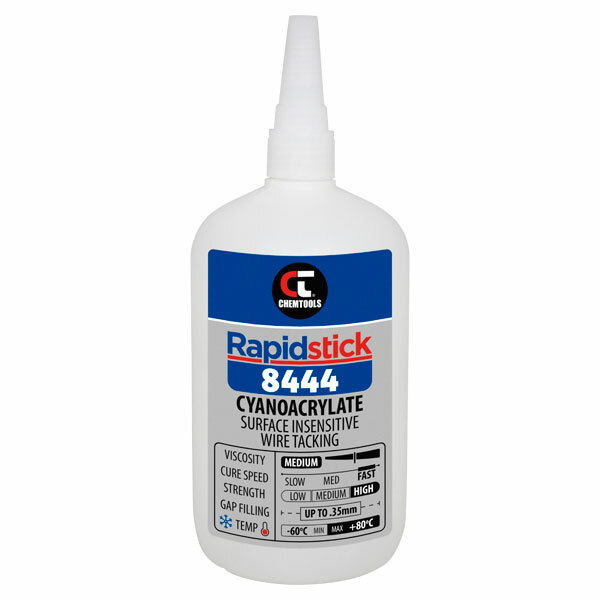 8444 meets Military Specification MIL-A-46050 Type II, Class II. 3650	SKU: 8444. 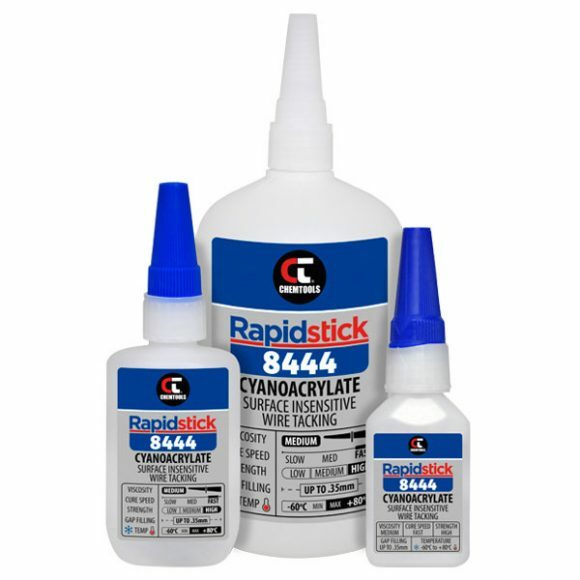 Categories: Adhesives & Sealants, Instant Adhesives, Rapidstick.